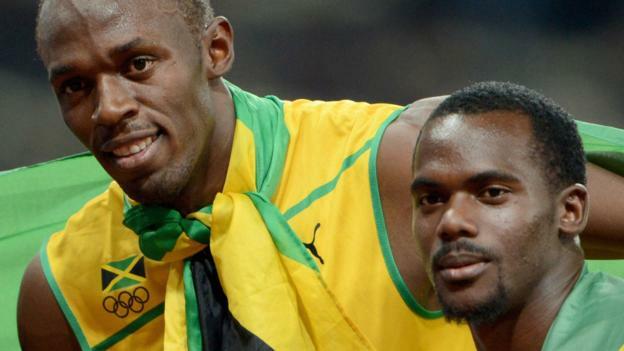 Nesta Carter has lost his appeal against the decision to strip him and a Jamaica team including Usain Bolt of Olympic gold after a positive drugs test. A sample taken from Carter at the 2008 Games in Beijing was found last January to have contained a banned stimulant. That meant the Jamaican 4x100m team had to forfeit gold. The Jamaican team featured Carter, Bolt, Michael Frater and Asafa Powell. A judgement said: “We [do] not accept any of the arguments raised by Nesta Carter contending that the test results should be ignored or that the decision should otherwise be overturned for certain alleged failures. Carter appealed against the decision last February and a hearing was held in Switzerland in November. Can athletics decide the best by using world rankings? The now-retired Bolt completed an unprecedented ‘triple triple’ of gold medals in Rio in 2016, but the International Olympic Committee (IOC) ruling to punish the Jamaica team left him with eight Olympic titles. Speaking in January, 31-year-old Bolt – who also won 100m, 200m and 4x100m gold at London 2012 and Rio 2016 – said it was “rough” to have to give back one of his medals but that it hadn’t changed “what I have done throughout my career”. Carter’s was one of 454 selected doping samples retested by the IOC in 2016 and was found to contain the banned stimulant methylhexaneamine. That has been on the World Anti-doping Agency (Wada) prohibited list since 2004, and was reclassified in 2011 as a “specified substance” – meaning one that is more susceptible to a “credible, non-doping explanation”. Carter was also part of the 4x100m team in London five years ago and helped Jamaica win at the World Championships in 2011, 2013 and 2015.